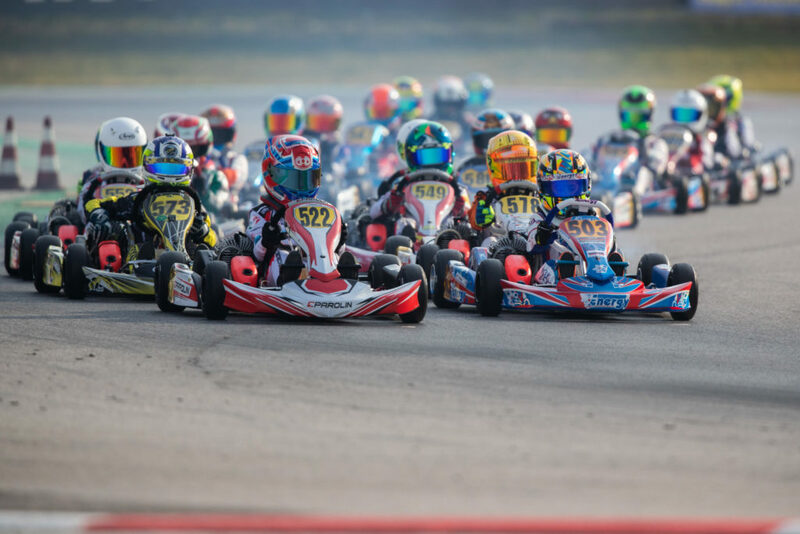 After a brilliant conclusion of 2018 at the Rotax Grand Finals in Brazil, Douwe Dedecker has carried his momentum high for the Champions Cup that marked the start of the WSK 2019 campaign. 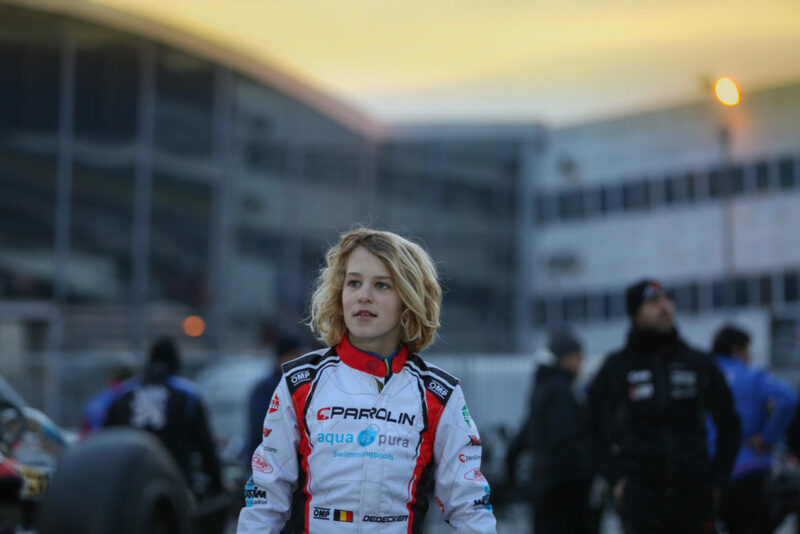 The young Belgian was right on the pace to show impressive performance defending the colors of Parolin in a heavily-packed 60 Mini class where a great result looked to be on the cards until misfortune hit without warning. 522,Dedecker Douwe(BEL),Parolin racing kart(PAROLIN/TM-RACING/VEGA), Adria, 27 January 2019. WSK Champions Cup, © 2019, Alexandros Vernardis / The RaceBox. His weekend, though, started on a superb note when he put the fourth-best lap time in Friday’s Qualifying. Assured to start as the Polesitter in the Group D, Douwe kept his momentum going by finishing fourth in his first Qualifying Heat on the same day. Thanks to a very well-prepared material and the support of his team and experimented coach Rick Dreezen, Douwe kept his head down to deliver an equally-satisfying Saturday. With two 3rd and two 6th places, added to his previous 4th, the 2018 Rotax Grand Finals Micro MAX Vice-Champion found himself qualified in an encouraging 5th position for the Prefinal A, scheduled on Sunday morning. Due to a large number of entries in the 60 Mini class (up to 84! ), Prefinals (A and B) were the penultimate step for drivers wishing to access the Final A on Sunday afternoon, something that Douwe could objectively foresee as his primary objective after his strong performances on Friday and Saturday on the Adria circuit. On Sunday morning, unfortunately, bad luck hit at the worst moment for Douwe when the 60 CC powered-TM engine of his Parolin chassis refused to start, right as the field was leaving the pre-grid to complete the warm-up lap of the Prefinal A! After seconds that felt like hours, the engine finally screamed and Douwe could quickly join the race but half a lap behind the pack. Forced to start from the 17th and last row, it became quickly obvious that Douwe’s hopes to finish within the first 17 drivers allowed for the 60 Mini Final A in the course of just ten laps were prematurely ended. 522,Dedecker Douwe(BEL), 503,Matveev Dmitriy,Energy corse srl(ENERGY-CORSE/TM-RACING/VEGA),Parolin racing kart(PAROLIN/TM-RACING/VEGA), Adria, 27 January 2019. WSK Champions Cup, © 2019, Alexandros Vernardis / The RaceBox. Fortunately, he had one more chance to show what he’s really made of thanks to the Final B, an extra race added for this year by WSK Promotion to give drivers who would not make it to the Finals supplementary track time before the end of the competition. And the Belgian didn’t miss the chance to perform at his best. At lights out, Douwe jumped right on the gas pedal to overtake five opponents left with little time to counter-react. Already 23th heading for the first braking zone at turn 2, he kept pushing to take advantage of a still compacted field to get past four other drivers and conclude the first lap in 19th position. Lap 2 was also put to good use with four more drivers in the bag to climb up to 15th with six laps to go. Laps 4 and 5 saw him keep a high pace to jump to 12th before gaining two more positions, first in lap 7 ahead of Giuseppe Garozzo (n°570, IPK/TM), and then in the last round at the cost of Alp Aksoy (n°536, Parolin/TM). 10th overall at the chequered flag, Douwe ended up his Sunday ride closing up the top ten but less than half of a second from a potential top 6-finish, with his best personal lap time only two-tenths of a second slower than the Final B’s fastest man, Giulio Olivieri (Evo Kart/TM), who finished behind him (14th). Despite this late misfortune, Douwe has delivered an impressive weekend by constantly fighting at the front of the category. A good omen for his next stop on track in already one week at the Round 1 of the WSK Super Master Series to take place on the same venue of Adria International Raceway. Motorsport scratcher, racing commentator & media devourer from Belgium. Diagnosed with Motorsport's deadly virus at 11, now it's a full-time living. I'm fine by the way, thanks !